This Vegan Caramel Frappuccino has just 4 ingredients and everything you need in the morning to get moving! Blend banana, coffee, and dates until smooth, adding a splash of milk as needed to reach desired consistency. Optional yums: blend in a spoonful of almond butter and top with flaky sea salt and whipped cream. 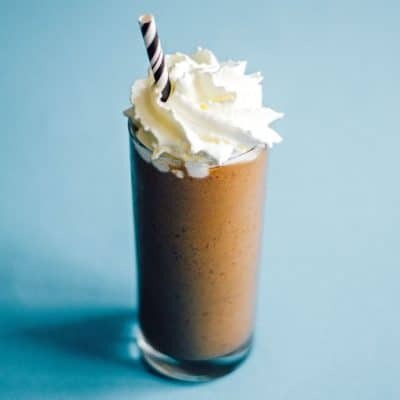 Recipe from Live Eat Learn at https://www.liveeatlearn.com/vegan-caramel-frappuccino/.